This morning the senior students from Rooms 1 & 3 were amongst the 900 students who enjoyed the concert by the RNZ Navy Band. 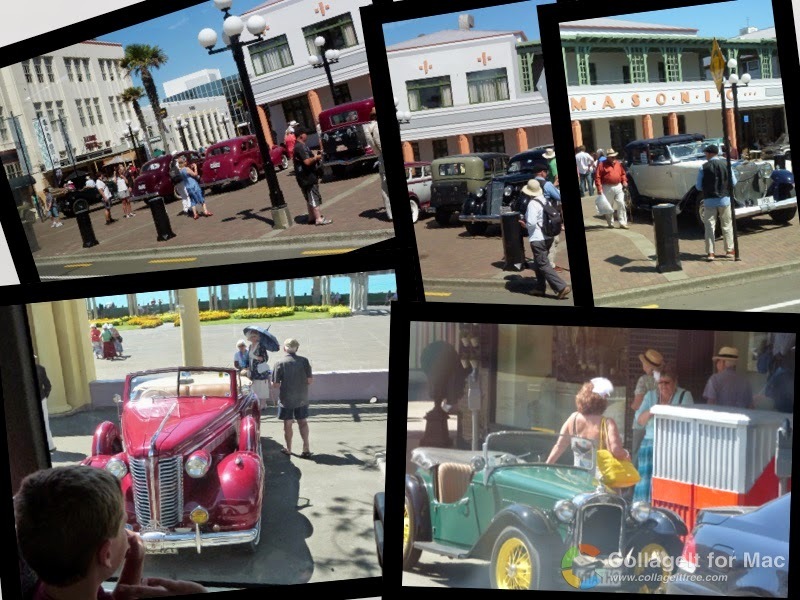 We traveled to the Municipal Theatre in Napier and enjoyed the music presented by the band who are in town for Art Deco Weekend. We passed lots of people who were dressed up for Art Deco and saw some great vintage cars. I enjoyed the Navy band my most memorable moment was when they did the movies. I really enjoyed the navy band and learning new instruments.I really liked going on the bus and seeing all the old fashion cars going past and seeing people wearing Art Deco Costumes. we all had alot of fun at the concert just look at our exciting faces he he . The Navy band was a great band it was cool and I enjoyed the part when the drummers were playing. During the concert they had a virility of songs which was good so some I new and some I didn't but they still were all amazing. It was great that some people had soles so you could here how just that interment sounded but together they were even better. I really enjoy gong to the Navy band it was so cool and felt really real like sponge bob and others. It was a great time I really great time my favourite part was uptown funk they sung. What a great morning/afternoon. Thank you NZ Navy Band for a time filled with cheering, clapping, laughing and singing. The Navy Band Concert was awesome. The band consists of woodwind, bass, brass and drumming instruments. It was a great concert with entertainment for all ages. Modern songs like Uptown Funk by Bruno Mars and classics from up to 200 years ago like Flight of the Bumblebee were played. People with different instruments did solos including the drums and saxophones. The band played themes from popular movies like star wars and the cartoon Spongebob squarepants and the mission impossible theme. Navy band members dressed up as characters from these movies and cartoons and dance across the stage. Darth vader and luke skywalker dueled to the death on the stage to the star wars theme. This was a great time and I can't wait to do it again next year. I highly recommend it. The memory of the Navy Band will never be forgotten for me. 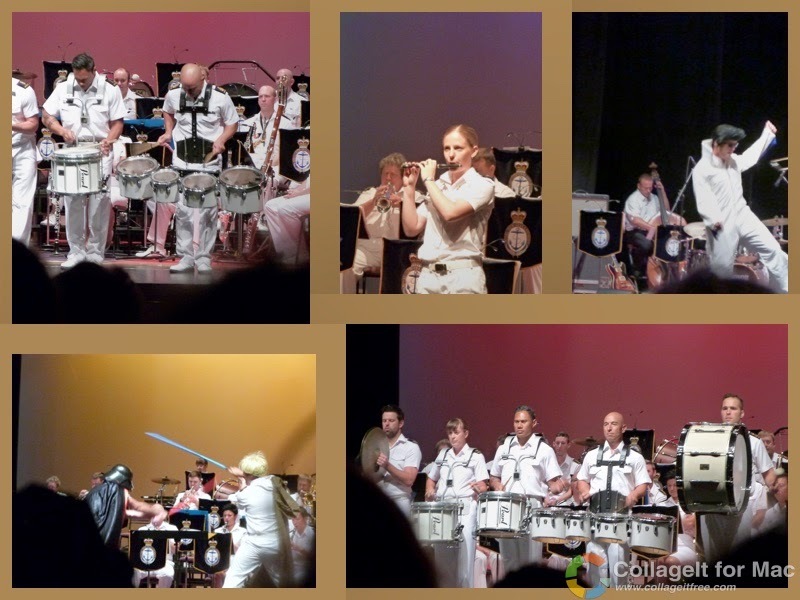 The Navy band Concert filled me with Joy,Happiness and laughter. Everyone around me shared those same emotions. I really enjoyed it when the band played Bruno Mars's song uptown funk. Also a highlight was when some of the Navy band people did solo's like the Drums and the Saxophone.